WIT Arena Sports Hall is 2000sqm. 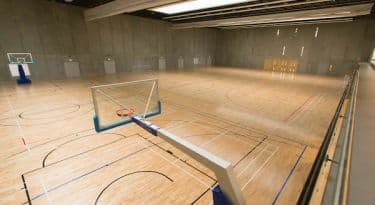 Basketball (2 full size courts and 2 half courts for training). However this is only a taster as to what the hall can offer so please feel free to send your enquiry to us. The WIT Arena Sports Hall is available for hire to students, staff and the general public. WIT Arena can also host various events and conferences.